How to Book Marquee Bottle Service at Marquee Nightclub? Are you trying to secure Marquee bottle service at Marquee Nightclub in Las Vegas at the Cosmopolitan with a reliable hosting service that will protect your bookings so there are no worries when you arrive? 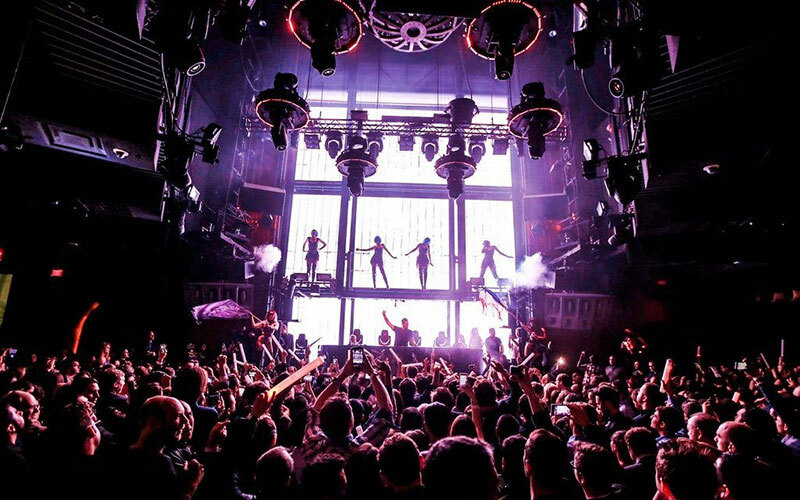 Las Vegas Nightclubs would like handle all of your nightlife needs at this 62,000 square foot venue that has a total of 164 VIP table locations. 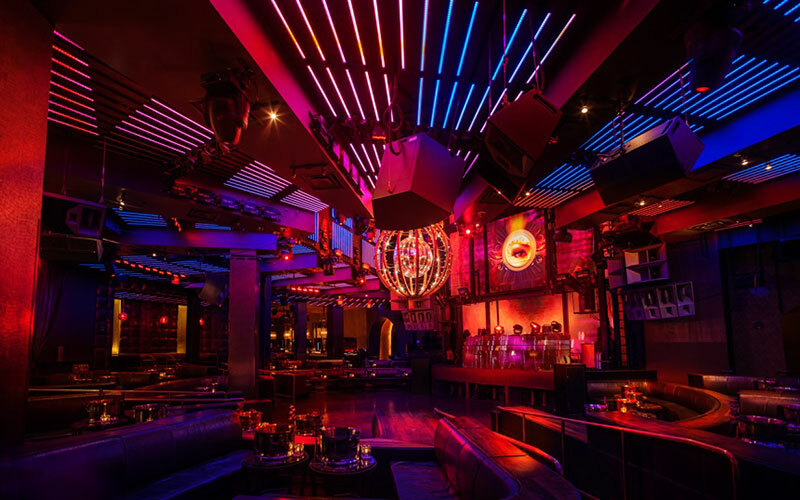 The 40,000 square foot nightclub on the inside has 83 table locations with 52 in the main room facing the DJ booth, 7 tables in the Salon, 13 tables in the Boombox Room, and 11 tables in the Library Bar. The dayclub pool area is 22,000 square feet that has 81 table locations with 10 cabanas, 8 grand cabanas, 10 bungalows, and 53 tables including day beds and day couches. There are a total of 5 bars with 3 on the inside that include the Long Bar, Cloud Bar, Library Bar, and East and West Island Bars in the dayclub pool area. If you are wanting to know how to book Marquee bottle service at Marquee Nightclub in the Cosmpolitan, you have come to the right host agency. The table minimum pricing on Fridays, Saturdays, and Mondays is pretty consistent year round. Table minimums can start as low as $500 and reach as high as $8,000 to $10,000, but don’t be surprised if they can cost even more. In most cases but not all, the pricing of the table minimums for the same table in the club usually become more expensive just during holidays like EDC week, and Memorial Day Weekend, but allow you to add more people to your group depending on the table location you have chosen. How much are Dayclub Patio tables for Marque bottle service at Marquee Nightclub? Dayclub Patio Tables has 53 locations in the dayclub pool area that require table minimums that range from $500 to $2,000. During regular nights the estimate for the table minimum is $500 based on 4 guests in your group, and $1,000 for 8 guests in your group. During holidays, and the busier nights of the year when prices suddenly increase, the price estimate of the table minimum starts at $1,000 for 4 guests, $1,500 for 8 guests, and $2,000 for 12 guests. Grand Cabanas range is estimated to cost $4,000 to $5,000 on regular nights and can run is high as $6,000 during holidays. How are Boombox Room tables for Marque bottle service at Marquee Nightclub? Boombox Room tables has 13 locations 1 floor below the main club level that require table minimums that have been said to start as low as $500 and reach as high as $1,500. During regular nights the estimate for the table minimum starts at $500 to $1,000 based on 4 guests in your group. On holidays, and busier nights of the year, the price estimate of the table minimum starts at $1,500 for 4 guests in your group. Be sure to remember that the Boombox Room tables are located in a Hip Hop only section. 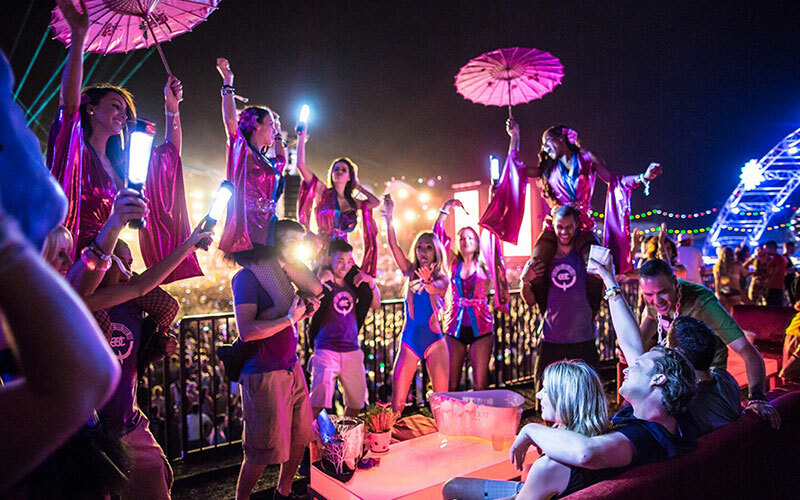 How much are Library Bar tables for Marquee bottle service at Marquee Nightclub? Library Bar tables has 11 locations 1 floor above the main club level that require table minimums that are estimated to start as low as $1,000 and reach as high is $2,000. During regular nights, the estimate of the table minimum is $1,000 to $1,500 for 4 for guests. During holidays, and the busier nights of the year, the estimate of the table minimum for Library Bar tables starts at $2,000 based on 4 guests in your group. How are Salon tables for Marquee bottle service at Marquee Nightclub? Salon tables has 7 locations that require table minimums that are estimated to start as low as $2,000 to $3,000 based on 10 guests in your group during regular nights and holidays, but are subject increase. If you book a table in this section you are entitled to VIP bathroom access by your security host. The Salon tables are located in the Main Club floor across from the Long Bar in a private enclosed area. How much are Main Club Room tables for Marquee bottle service at Marquee Nightclub? Main Club Room tables has 24 locations that require table minimums that are estimated to range from $2,000 to $3,000. During regular nights, table minimums for Main Club Room tables are known to start as low as $2,000 for 10 guests. During holidays, table minimums are estimated to cost $3,000 but are subject increase at any time. The Main Room tables are considered 3rd tier tables behind the Prime Main Club Room tables on the out parameter of the club. How much are Prime Main Club Room tables for Marquee bottle service at Marquee Nightclub? Premier Main Club Room tables has 16 locations that require table minimums that are estimated to range from $4,000 to $6,000 based on 12 guests in your group. During regular nights, table minimums for Prime Main Club Room tables are estimated to start as low as $4,000 for 12 guests. During holidays, table minimums are estimated to cost between $5,000 and $6,000. How much are Main Club Dance Floor tables for Marquee bottle service at Marquee Nightclub? Main Club Dance Floor tables has 12 locations that require table minimums that are estimated to range from $7,000 to $10,000 based on 12 people in your group. During regular nights, table minimums for Prime Main Club Room tables are estimated to start as low as $7,000 to $8000 for 12 guests. During holidays, table minimums are estimated to cost $8,000 to $10,000. How much are champagne bottle prices for Marquee bottle service at Marquee Nightclub? Large Format Champagne ranges from $1,575 to $250,000 for 3 Liter to 30 Liter size bottles by top tier brands such as Veuve Clicquot, Perrier Jouet, Dom Perignon, Moet & Chandon, Armand de Brignac, and Louis Roederer. Magnum Champagne is $725 to $4,500 for 1.5 Liter for brands like Veuve Clicquot, Krug, Moet & Chandon, Perrier Jouet, Dom Perignon, and Armand de Brignac. Rose Champagne ranges from $475 to $2,275 for 750ML from brands including Moet & Chandon, Veuve Clicquot, Beau Joie, Ruinart, Perrier Jouet, Dom Perignon, Krug, Louis Roederer, and Armand de Brignac. Regular Champagne Brut is $395 to $1,600 for 750 ML size bottles by brands Perrier Jouet, Moet & Chandon, Veuve Clicquot, Beau Joie, Ruinart, Perrier Jouet, Dom Perignon, Krug, Dom Perignon, Louis Roederer, and Armand de Brignac. 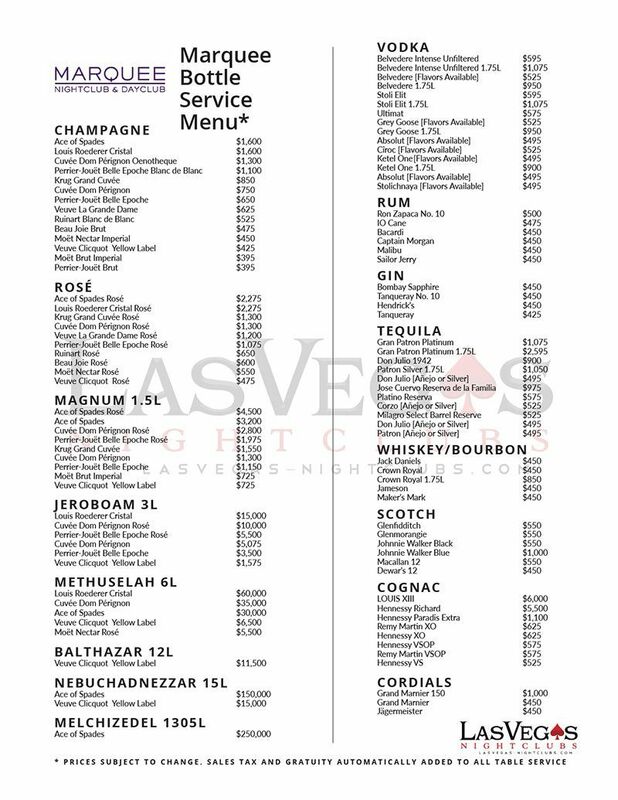 How much are liquor bottle prices for Marquee bottle service at Marquee Nightclub? Liquor is $425 to $6,000 per bottle. Magnum Vodka is $900 to $1,075 for 1.5 Liters by Ketel One, Ciroc, Grey Goose, Belvedere, and Stolichnaya. Vodka ranges from $495 to $595 for 1 Liter by Stolichnaya, Ketel One, Absolut, Grey Goose, Ciroc, Belvedere, and Ultimat. Magnum Tequila is $1,050 to $2,595 for 1.5 Liters for Patron variations. Tequila is $495 to $1,075 for 750ML by Patron, Don Julio, Milagro, Corzo, Platino, and Jose Couervo. Cognac ranges from $525 to $6,000 for 750ML for Remy Martin variations. Gin ranges from $425 to $450 for 1 Liter by Tanqueray, Hendrick’s, and Bombay Sapphire. Liqueur is $450 to $1,000 for 750ml and 1 Liter by Jagermeister and various Grand Marnier labels.Rum is $450 to $500 for 750ml and 1 Liter by Sailor Jerry, Malibu, Captain Morgan, Bacardi, IO Cane, and Ron Zacapa. Scotch ranges from $450 to $500 for 750ml and 1 Liter by Dewar’s, The Macallan, Glenmorangie, and Glenfiddich. Whiskey & Bourbon is $450 to $1000 for 1 Liter to 1.75 Liters by Maker’s Mark, Jameson, Jack Daniel’s, Crown Royal labels, and Johnnie Walker labels. What type of mixers are there for Marquee bottle service at Marquee Nightclub? You are entitled to standard mixers including orange, pineapple, and cranberry juice, along with sprite, coke, tonic, and club soda. How much are drinks with Marquee bottle service at Marquee Nightclub? Beers are $8, and well drinks are $10. Shots are $10 to $12, and Premium cocktails are $12 to $15. Bottled water is $7. You can complement your bottle with a 6 pack of Voss water for $36, or a 6 pack of Red Bull for $42. You can also purchase a 24 pack of imported or domestic beer for $375. Be sure to order individual drinks from your cocktail waitress. What happens after I book Marque bottle service at Marquee Nightclub? After booking we will follow up with you with an email confirmation. When you arrive, you will be instructed to link up with one of our hosts who will assist to your table. Once you are escorted to your table by our host, you will then be greeted by your cocktail waitress who will then hand you a menu. If you have already chosen your bottle preference with our company our host will have your details, and will give them to the cocktail waitress. You will be asked if you would like to pay with cash or credit. What are the taxes and gratuities for Marquee bottle service at Marquee Nightclub? 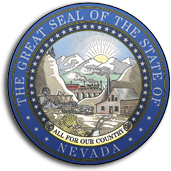 There is an 8.10% sales tax, a %20 recommended gratuity, and is subject to a service fee, and a 10% entertainment tax.